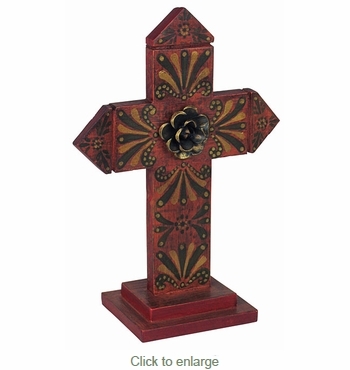 This rustic wooden folk art cross is hand painted and makes the perfect accent for your Hacienda or Spanish Colonial home. Created by Mexican artisans and each is a unique and one of a kind piece. May differ from image shown.